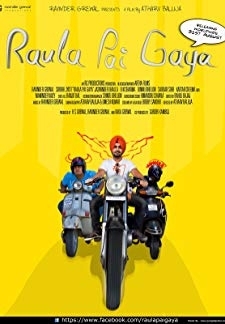 © 2018 Scratchu.com Aiven Raula Pai Gaya | Ravinder Grewal, Binnu Dhillon, B.N. 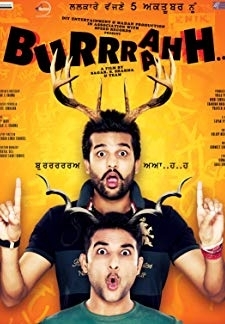 Sharma, Jaswinder Bhalla, Kartar Cheema, Maninder Vaily, Sardar Sohi, Surbhi Jyoti, Bobby Layal, Parjesh Kapil, Daman Kaur, Harjit Harman, Diljit Shahi, Teji Sandhu, Prakash Gadhu - Aiven Raula Pai Gaya (2012) | Punjabi Movie | 6.8/10 | Synopsis : Synopsis The story of Aiven Raula Pai Gaya has shown the issues which are relatable to common people's life in modern days. Its the story of three college friends, enjoying their young life but mostly it revolves around Rajveer (Ravinder Grewal). Rajveer is the commander of a short army of three friends and leads them to find fun every time. But with his fun loving life, he has to go through some real difficulties at his family level, friendship level and in his love life. When everything is goi... Watch Online!! !